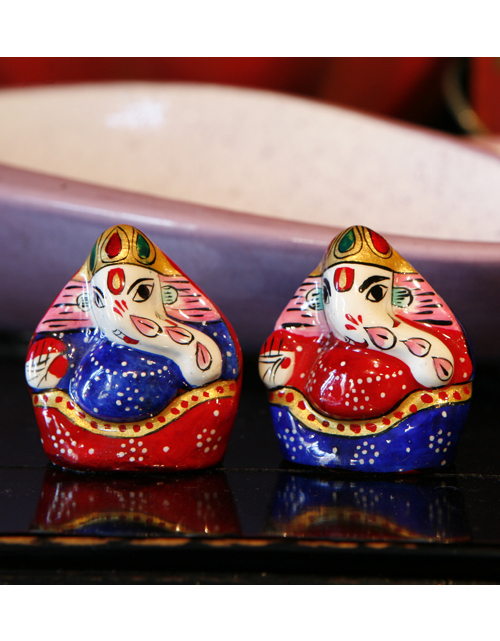 GANESH MODERN-MINIS were found just as I arrived in Delhi for the first time. I couldn't wait to go Ganesh shopping so my guide took me to Nirula Handicrafts (that's me at the shop in the photo below) to see what they had. Not one for tourist shops I was actually excited when I found these adorable enamel statues. 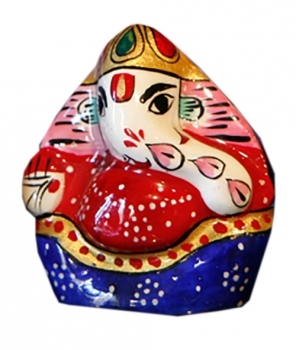 I had never seen this style of Ganesh before, they are very modern with a gesture of an elephant body and ears. What I realized is that since everyone throughout India has so many Ganesh statues, new modern-minis are a popular new style. *Ganesh note: trunk wrapped to the left represents the moon, feminine, cooling, nourishing and relaxing energy.